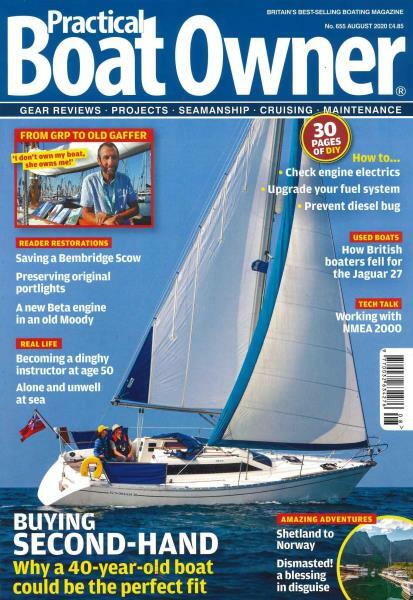 Practical Boat Owner is a monthly magazine made for boat enthusiasts. Packed full of news and articles that are guaranteed to keep you on course. Buy a single copy or subscription to Practical Boat Owner magazine. There’s no better place to get expert advice or information on the latest boats and gear for your budget than Practical Boat Owner magazine. As a brand readers genuinely trust, Practical Boat Owner magazine delivers essential information to owners of both motorised and wind-powered vessels. Whether you are a leisurely sailor or an avid motor boater, there’s bags of information from inside the industry to help you handle, run, maintain, buy and even sell boats of all shapes and sizes. Whether it’s the odd bit of DIY or developments in clothing and life preservation, make Practical Boat Owner magazine your first and only port of call.